Tory Historian is mortified by neglecting to celebrate the anniversary of the Battle of Trafalgar yesterday. Sackcloth and ashes are the order of the day. Instead, time has been spent on reading Gertrude Himmelfarb's The Roads to Modernity, which separates what she calls the three different Enlightenments: British, French and American, and restores the British one to its historic importance. The three can be characterized as Sociology of Virtue, Ideology of Reason and Politics of Liberty. There were many links between them and cross-pollination of ideas but they were different and led to different political developments. This is not to say that ideas were the determining factor in each of these countries. 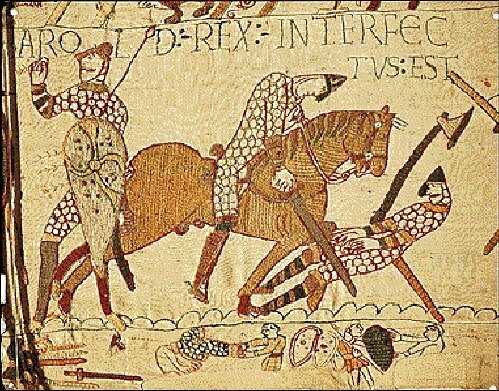 The historical situations were obviously, perhaps decisively, different. As Britain had earlier experience a religious Reformation, so it had also undergone a "Glorious Revolution", which gave promise of being a permanent political settlement. France, having had neither a religious reformation nor a political revolution, was, in a sense, ripe for both. And America, having had both as a legacy from Britain, sought the independence that it claimed as part of that legacy. Tory Historian is particularly interested in the distinction Professor Himmelfarb will be making between the British and the American versions of the Enlightenment. Tory Historian, like so many people, has been often perplexed by people blithely attributing to Burke the saying: "All it takes for evil to triumph is for good men to do nothing" or something like it. Perplexed and annoyed, TH has decided to pursue the matter. It would appear that there is no evidence that either Burke or anyone else said that or wrote that, which makes it a non-quotation by any standard. When bad men combine, the good must associate, else they will fail, one by one, an unpitied sacrifice in a contemptible struggle. So true about so many political events and people. London Historian reminds all those in or around London that this Saturday there will be no fewer than four guided walks to do with London's rivers, presumably those that are now underneath roads helping to destabilize London's buildings. Not a war to be proud of and one that might have been avoided with a little more diplomacy on all sides. The second Anglo-Boer War that went on from 1899 to 1902, established Britain's supremacy (more or less) in South Africa, eventually created the Union of South Africa, had enormous impact on domestic politics and blackened Britain's name because of the policy of concentration camps for civilians (later developed to a far higher level by several other countries) began on October 11, 1899 with a Boer offensive into Natal and Cape Colony areas. 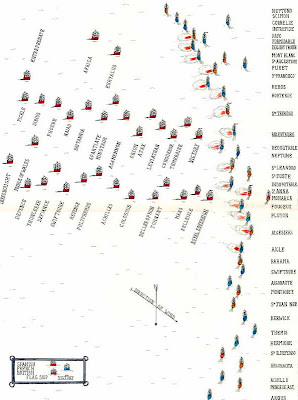 In the 1900 "Khaki" election the Conservatives won a majority but opposition to the war grew ever stronger, partly because it turned out to be rather difficult to defeat the Boers (no war is popular if it is seen as a difficult one) and partly because news of those camps came out. 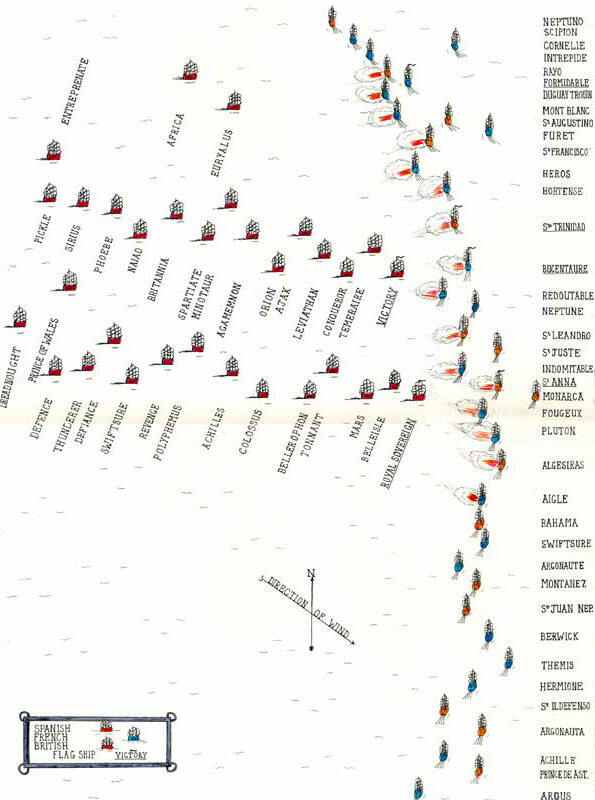 Here is the South African view of the war. 1974 was the year of two elections, both lost by the Conservatives but only one resulting in victory for the Labour Party. In February of that year Harold Wilson had formed a minority government, the first in this country, as the BBC tells, since 1929 and called another election in October when he managed to convert it to a majority of 3. Inevitably, as time went on this, too, became a minority government but it managed to stagger on till the end of its term in 1979. This election also signalled the end of Edward Heath's leadership of the Conservative Party. On October 11, 1982 the Mary Rose, Henry VIII's carrack-type warship was finally raised from the seas after a great deal of archaeological and salvation work. 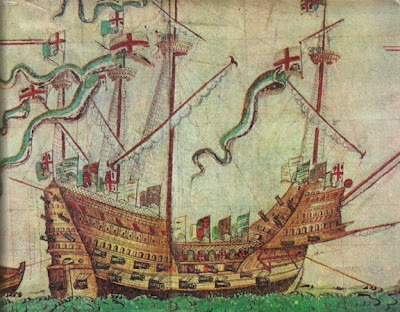 She had sunk in the Solent in 1545. All British institutions have an air of improvisation; and seem allergic to long-term planning.Indeed, what else can you expect in a country where it is impossible to predict, from one hour to another, whether it will be hot or cold, wet or dry, windy or still - where every arrangement for an outdoor sport of public function may have to be altered at the last minute owing to uncontrollable causes? "Rain stopped play", "If wet, in the Parish Hall", "Weather permitting" - such phrases punctuate the whole rhythm of our communal life, and compel a general attitude to things which is at once sceptical, stoical, speculative and flexible in the last degree. It is always dangerous to draw conclusions about national character, particularly of a nation that is described cheerfully as "mongrel" by Miss Sayers, from the weather. But she does and, undoubtedly, there are many solemn critics out there who find it difficult to come to terms with such trivial notions. Not Tory Historian, though. Tory Historian went to the British Museum this evening as it was late opening. Unusually, the Mediaeval Galleries were open (possibly because there is no big exhibition on at the moment) though the fate of the Hinton St Mary mosaic pavement is still unknown. TH distinctly remembers seeing most of that floor laid out on the landing of the BM staircase. Then it was taken apart and the medallion with Christ's face put back. Where is the rest of it? 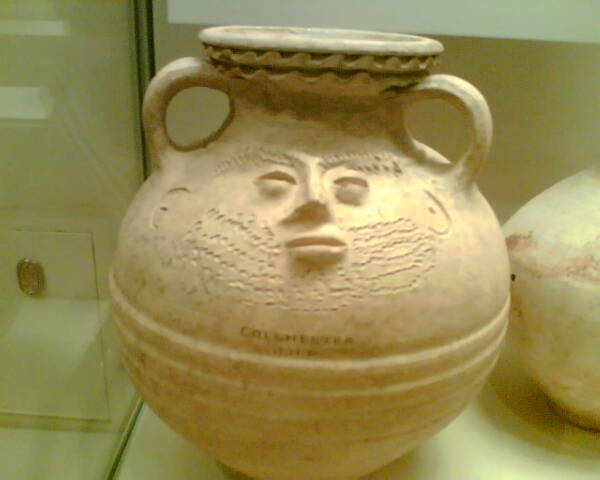 Still, there were some beautiful things to see and some utterly delightful ones like the big face jug from 2nd Century Roman Colchester. A big milestone in post-World War II restoration: on October 3, 1952 tea-rationing ended. In theory, de-rationing was to start in 1948 but had been somewhat slow. 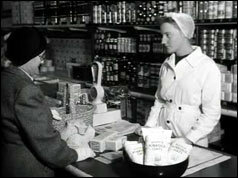 In actual fact, food rationing was not abolished till 1954, after a great deal of popular discontent. Tory Historian is always thrilled when a previously mysterious document, particularly if it is a map, can be deciphered. The news that the 2nd Century map of Germania by Ptolemy is being deciphered by a group of scholars of various persuasion is very exciting. 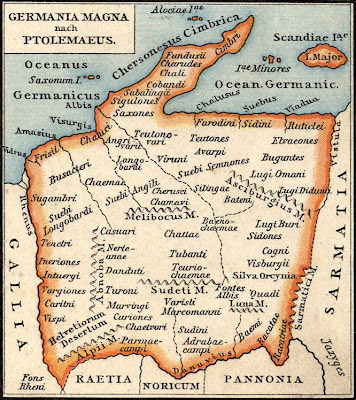 The map, inaccurate though it is in some detail shows that many German settlements are considerably older than thought before, that there was a great deal of interaction with the Romans of peaceful and not so peaceful kind and that trade routes ran through old Germania towards the Baltic and back, as one would expect. There is an amusing account of the way attitude to the Germanic tribes has changed over the years and decades, motivated by political developments. Archaeologists' opinions on the Germanic tribes have varied over the years. In the 19th century, Germany's early inhabitants were considered brave, wild-bearded savages. The Nazis then transformed them into great heroes, and in the process of coming to terms with its Nazi past, postwar Germany quickly demoted the early Germanic peoples to proto-fascist hicks. The Romans, it was said, had to put up a border wall between themselves and the nuisance Germans before they could finally get some peace. More recent research proves this view to be complete invention. New excavations show that the Germanic groups were anything but isolated -- quite the contrary. Veritable hordes of Roman traders crossed the border to deal in amber, pomade, smoked fish and leather with their neighbors. 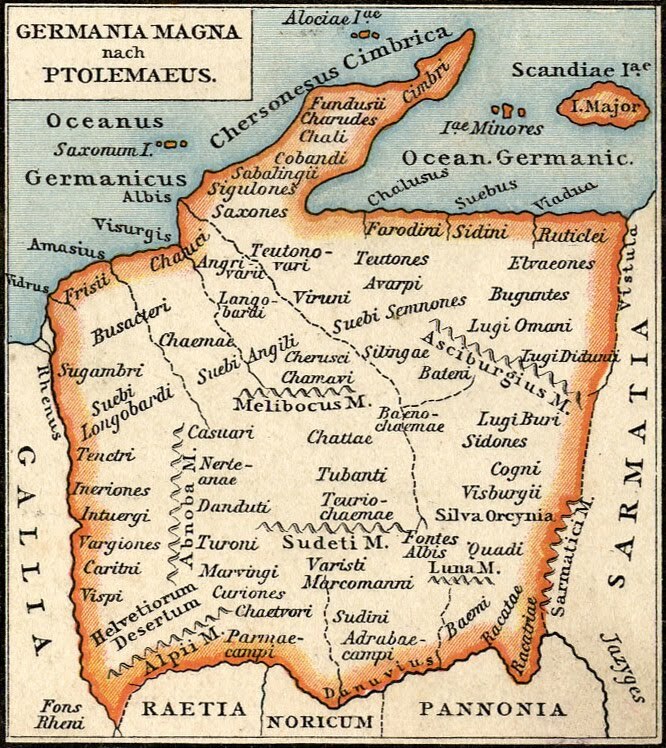 Caesar mentioned that his people traded with the "Sueben," the Swabians of southwestern Germany. As far back as the first century AD, a Roman knight traveled from Carnuntum, a legion camp near Vienna, to the Baltic Sea coast to trade in amber. Roman diplomats were also eager to intervene in their neighbors' affairs, bribing tribal princes, organizing assassinations and supporting their favorites all the way to the throne. Excavations in the state of Lower Saxony in August 2008 even uncovered a battlefield containing the remains of 3rd century weapons. Closer inspection revealed that a Roman legion equipped with catapults had advanced as far as the Harz region in central Germany in a lightning campaign probably intended to punish insubordinate tribes. These soldiers didn't have to struggle through wastelands and swamps to get there. "We were able to locate 11 settlements along the highway that started at Moers on the Rhine and reached as far as the Sambia peninsula in present day Kaliningrad," Kleineberg explains. It is more than probable that Ptolemy's information came from traders and, to a very great extent, military engineers.